Heritage Shortbread...a rare find! 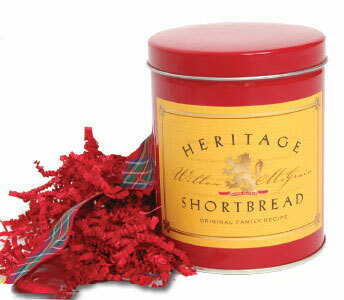 Heritage Shortbread is from an original family recipe. Made with pure, natural ingredients, Heritage Shortbread is a legendary sweet biscuit. Heritage Shortbread, hand-crafted by Willow McGrain in South Carolina's Lowcountry is simply delicate, buttery, melt-in-your-mouth shortbread. A wondrous treat..."Willow McGrain's Heritage Shortbread can be enjoyed for any occasion, by anyone who appreciates the finest foods...& the sharing of a family heritage." Heritage Shortbread Cookies / Biscuits Tin. Size: 12 piece tin, 1 1/2" squares individually wrapped.